KFC fans have now another reason to choose Indian Railways! 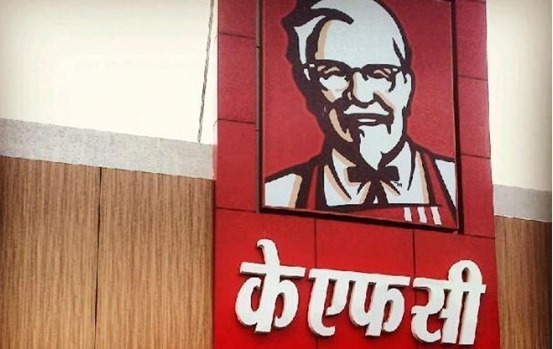 Indian Railway Catering and Tourism Corporation (IRCTC) and Yum Brands, which own KFC brand, have partnered to provide rail passengers an option to order KFC meals right from their train seat. As of now, this service has been made available across 12 trains which pass through New Delhi. The trains which don’t have any pantry car have been selected first. As per reports, this service would be extended to Hyderabad, Bangalore and Vishakhapatnam in the next 10 days. Soon, all Rajdhani and Shatabdi Express trains across India will have KFC menu on board. Passengers need to visit IRCTC.co.in to place their order; however, considering that the train would be on the move while ordering, and Internet connection can be an issue, customers can also call a toll free number: 18001034139 and place their order. The passenger will soon receive an SMS code, which needs to be verified at the time of delivery. It is not yet clear whether PayTm wallet or IRCTC Ewallet can be used for making this payment or only cash on delivery option is present. As per some reports, passengers can directly order KFC dishes while booking their online tickets via IRCTC website. But exact details haven’t yet arrived regarding the same. Earlier this year, IRCTC had teamed up with Domino’s pizza to deliver fresh pizza to passengers, right inside their trains. Initially started with 12 trains (like KFC), the service has now extended to 200 trains across India. With Domino’s, passengers can order their pizza two hours before the train arrives at any one of the 41 railway stations where Domino’s outlet is nearby present. In case there is no nearby Domino outlet, then the passengers are informed accordingly. As per WSJ, around 350 pizzas have been delivered by Dominos, inside trains, ever since the service was launched in February this year. Passengers from South India can opt for IRCTC’s unique ‘Dial-A-Meal’ option, wherein passengers can call a designated number, and order food from a 3rd party vendor, right inside their trains. In case you are planning to order a KFC meal from your train, then do share your expectations and experience, by commenting right here! "IRCTC KFC Partner For Meal Delivery on Trains; To Be Launched Across 12 Trains In New Delhi Region", 5 out of 5 based on 1 ratings. Ola Enters On-Demand Grocery Business With Ola Store Mobile App; Will Diversification Help? Why government is encouraging other countries ‘food culture’ and companies rather than indian restaurants and food culture. Funny, we are beeing warned not to eat Pizzas, burgers etc, and now we are seeing implementation to bad food support of implementation. Excellent development. In fact when we were kids, moms used to lecture us about the dangers of having food sold inside trains. Even in stations, we are not allowed to eat. We were only eating food packed from home to avoid food poisoning. Every one knows that Multinational fast food chains have same standard food anywhere, and can confidently order food to be delivered at stations. We are unfortunate that we could not develop any local brands known nationwide. Until we have our Desi branded food is developed, we can manage with Multinational brands.